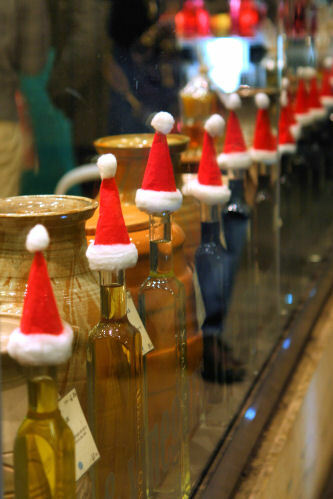 I spotted these cute Santa hats on top of olive oil bottles at Vom Fass in Bath the other week! This content belongs to Nic at Cherrapeno. All writing and photography copyright N Fowers © 2007-2011 unless otherwise indicated. All rights reserved. 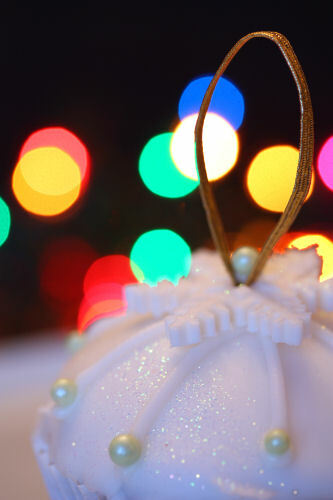 Last week I was looking around for cake recipes to make something Christmassy, when I came across the Baking Mad website. 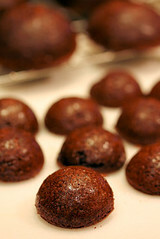 There were some interesting cupcake recipes and I settled on this chocolate one for my cakes. 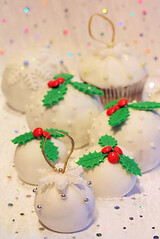 As well as cupcakes, I wanted to make a few round balls and turn them into Christmas cake baubles, for which I used my silicone sphere moulds. 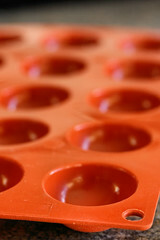 If you don't have these moulds, you could make cake 'pops'. 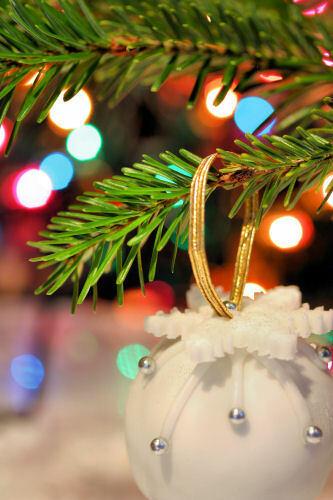 They won't really hang on the tree, they're too heavy! 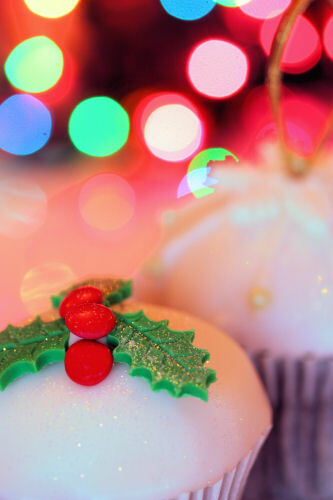 Make the cupcakes according to your recipe and/or cake balls. 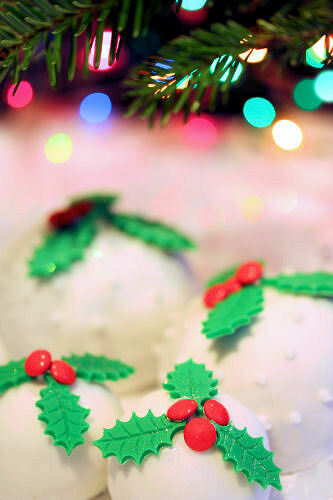 Spread a bit of vanilla butter icing on the top of the cupcakes, or, if you made cake balls, sandwich two halves together with a little of the vanilla butter icing. 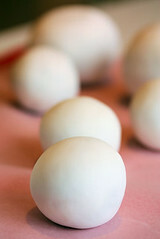 Roll out some ready made icing and cut circles to fit the top of the cupcakes. 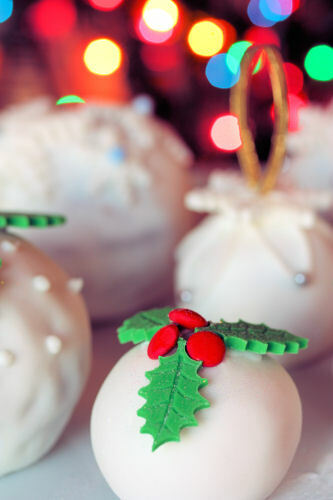 For the balls, you want to brush them with a tiny bit of warmed apricot jam (so that the icing sticks onto the cake) and cut out a larger circle of icing, gently easing it around the cake to cover it. 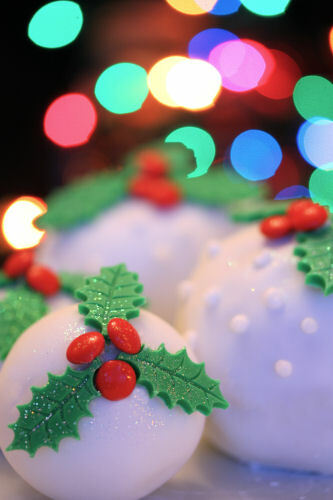 Decorate with coloured icing cut into holly leaves and chocolate beans, or any other decoration that you want. Dust with edible glitter. 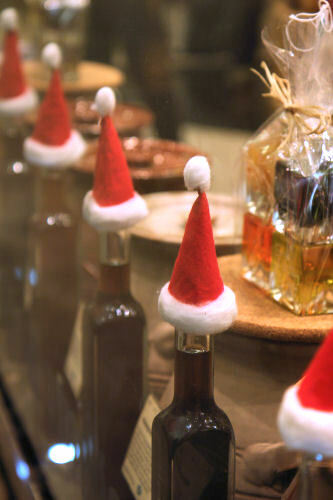 I'm sending these little treats over to English Mum’s Big Christmas Bakeoff . 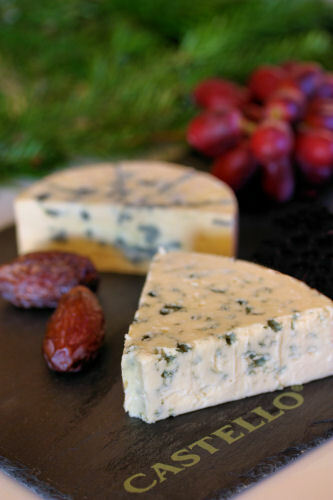 I was recently asked to try some House of Castello® cheeses, how can I say no to cheese? It's one of my favourite ingredients and we do eat a lot of it. There are currently 8 Castello® cheeses on sale in the UK, including Pineapple Halo and a fiery Black Pepper Halo. The cheese is produced in Denmark and can be found in all good supermarkets. 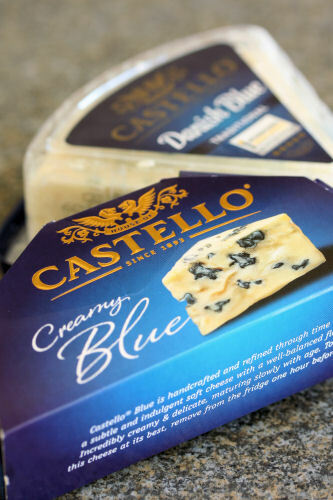 I could only find two of the cheeses - the Castello® Creamy Blue and the Castello® Danish Blue Traditional. 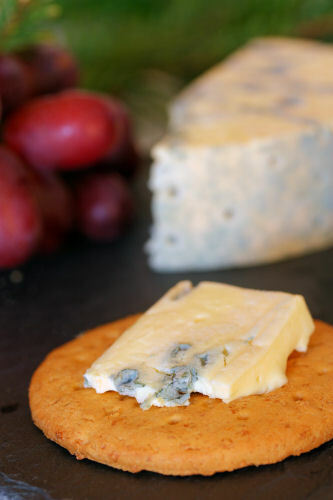 The Castello® Creamy Blue is sharp, salty and would be perfectly paired with crackers and ripe figs. The Castello® Danish Blue Traditional cheese is perfect with grapes, toasted rye bread and quince jam. You can find out more about the House of Castello® cheese range on their website, where you will find a unique cheese tool, called Host Your Own, to help you create your ultimate cheeseboard. They are also on Facebook and Twitter. Do you love your garden? 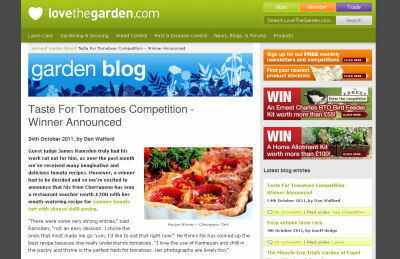 If so, take a look at the cracking Love Your Garden website. It's a wealth of information on looking after your garden, from lawn care to pest and disease control. There are even forums to discuss your garden problems, solutions and receive/give advice. At the moment they are running a 'carrot' competition for bloggers and you could win a £200 restaurant voucher, or one of three copies of 'comfort & Spice' by Niamh Shields (from Eat Like a Girl) who is judging the competition. I was the lucky winner of last month's 'tomato' competition judged by James Ramsden (with my summer tomato tart with a chilli cheese pastry) and I have chosen to go to the The Ledbury for my prize!